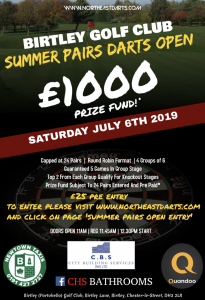 Following on from last years fantastic grand slam pairs on the same date as last year, we bring you another great pairs comp! 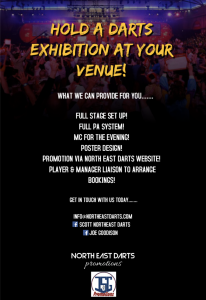 Looking to hold a darts competition or an exhibition at your venue? or message Ali Patton on Facebook. Capped at 24 Pairs. Get your entries in quick. Round Robin Format with guaranteed 5 games in the group stages! 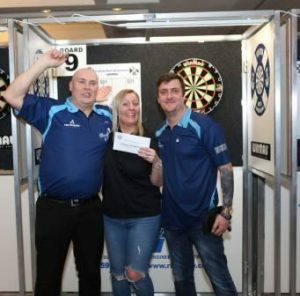 This Friday welcomes back the most exciting tournament on the darting calendar, the ‘Festival of Darts’, the PDC UK Open at Butlins, Minehead. 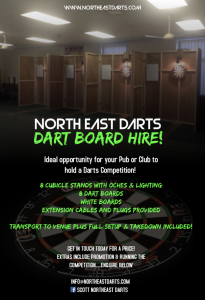 We are lucky to have 6 representatives from the North East taking part, with the four tour card holders along with the Riley Qualifiers from Northumberland, Kev Thoburn and Callan Rydz. Play begins at 11am on Friday morning live on ITV 4. 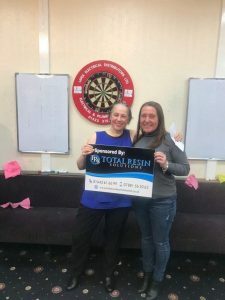 “Here we go the Turbinia was our venue for Saturday, I normally like reporting on the last 16 but I only had the board finals sent over. All the board finals were absolutely cracking games although I didn’t see a lot of them as I was playing myself I do know that Carl Hamilton had a cracking game against Kevin Naunton, I also had a cracking game against Eddie Mordica and in all fairness I do believe our game could of gone either way but take nothing away from Eddie I was beaten 4 – 2 he played world class in his last game as we move into the last 4. 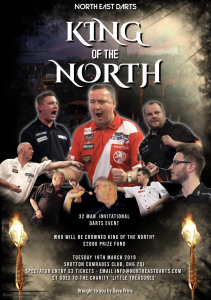 The chance to see 3x BDO Champ & newly crowned PDC Champ, Glen Durrant battle off against World Number 35 Chris Dobey and fellow PDC professionals Ryan Joyce, Adam Hunt, Terry Temple & Dave Prins. Due to a fair bit of interest, we are now selling TICKETS for this event. Name, mobile number, amount of tickets. 2x World Champion, Dennis ‘The Menace’ Priestley will be in the North East on Saturday 23rd November 2019. 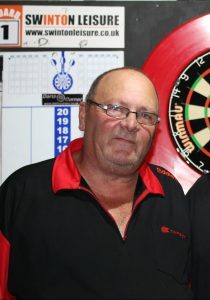 Dennis will be at Birtley Golf Club taking on 8 spectators and a best of 5 match vs a special guest! The evening includes a talk with ‘The Menace’ and an insight into his fantastic darts career, hosted by MC Joe Goodison. £12 Tickets include Pie & Peas. For more information, head over to the Facebook event HERE. 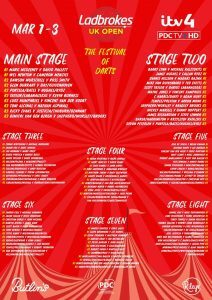 Information for tickets on the poster. Brought to you by Dave Prins. 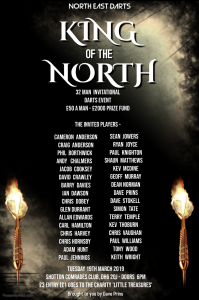 Invited players that accepted, in alphabetical order. Shotton Comrades Club, DH6 2QJ. 4 FLOOR BOARDS FOR EARLY ROUNDS AND STAGE BOARD FOR SEMI & FINALS. Best of 9 early rounds, Best of 11 Semis, Best of 13 Final. 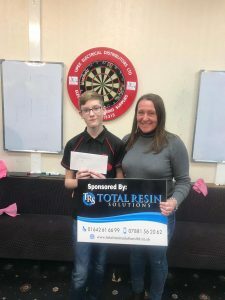 ‘The Hunter’ wins Total Resin Solutions Ranking Event 2. 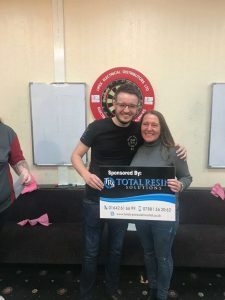 Adam ‘The Hunter’ Hunt beat Phil ‘Philyerboots’ Borthwick in the Mens Final of Total Resin Solutions Ranking Event 2 yesterday afternoon at The Navy Club, Darlington. 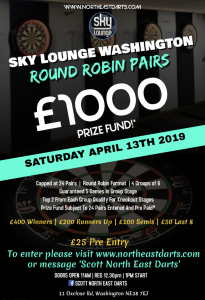 £67 added to prize pot for finals night.